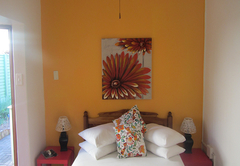 Dreamers Guest House is one of the highly recommended King Williams Town guest houses and provides accommodation in 15 guest rooms for tourists visiting the Amatola region. 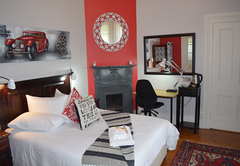 Halfway between Cape Town and Durban on the N2 en route to the Wild Coast or Addo Elephant Park, Dreamers Guest House is the perfect relaxing stopover. 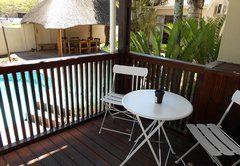 We are just a few meters off the R63 and 4 Km from Bhisho. 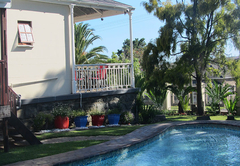 These are beautiful traditional Victorian houses set in an attractive garden in the heart of historical King William’s Town. 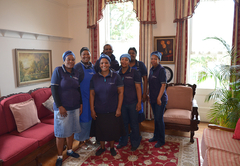 The friendly staff ensures a delightful stay. 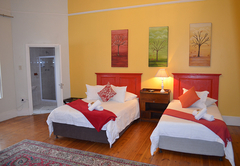 Dreamers, a Victorian guesthouse built in 1887 and set in a lovely quiet and tranquil garden in the heart of historic King. We run a student community training project at Dreamers, so you will be in seriously hospitable hands. 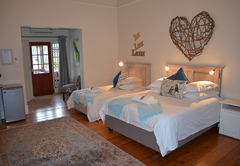 There are twelve bedrooms equipped with all the modern commodities required for the leisure tourist or the weary traveller. 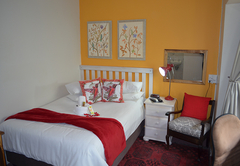 Our rooms are typical of the Victorian style houses and they are all en-suite. 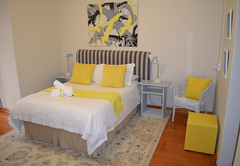 We use Percale linen and we provide all the amenities required for a relaxing stay. 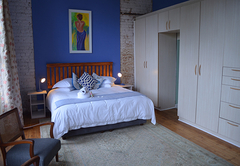 The bedrooms are non-smoking and there is a large closed-in patio / smoking area. 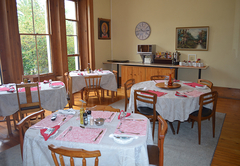 "Dreamers" has a convivial dining / living room where fires crackle in winter and superb cuisine is laid down for dinner. The various cooks have made it their life task to let our guests come back repeatedly for their dishes that make every taste bud work. 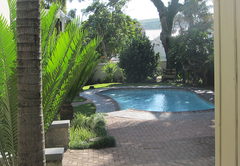 A well-protected “braai”-area allows for informal catering for those who prefer to eat around a fire. 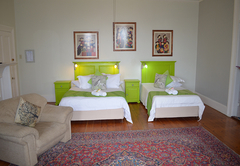 The house is furnished with many beautiful antique pieces originating from the ostrich feather era. There is also an 18th century organ and an excellent piano, if you feel the sudden urge to sing the Hippo, Huberta’s praises. There are two large pools with lovely poolside patios for summer, one with a slip-and-slide for the younger and a patio with chaise lounges for the more relaxed visitor. 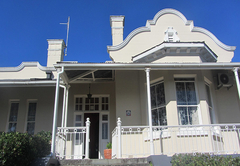 The Amathole Museum is one of the points of interest on a walking tour of King William's Town. 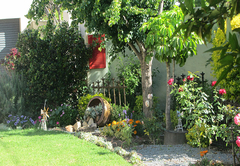 The tourist walks pass many old homes and buildings where their graciousness has not diminished over the years. There are many churches, the oldest the Holy Trinity Church (1850), and the Beautiful Grey Monument Hospital (1856), where tourist are shown the 50mm thick Teak doors made from timber salvaged from a ship, the Kennaway-Castle, which sunk off the coast near East London. The British Kaffrarian Bank (now Ned Bank), is the most beautiful of them all. Its decorated dome is a striking feature of the many interesting buildings. 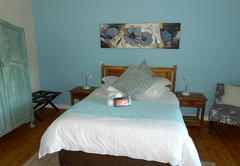 Room is spacious and has a double bed with an en-suite bathroom with shower and bath. Equipped with a coffee station, microwave and bar fridge. 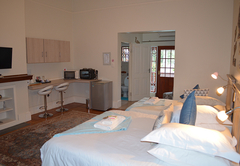 There is a iron, ironing board, hot water bottle, 2 spare blankets for winter time and a hairdryer. 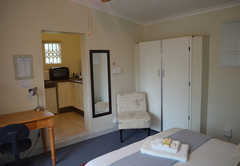 This room is spacious and has a double bed and 3/4 bed with a sitting area and flat screen t.v. Standard with a tea/coffee station, bar fridge and microwave. With complimentary Wi-Fi available. 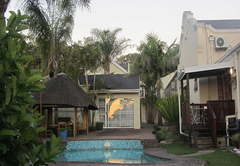 Spacious 2 bedroom unit, one with a Queen and one with a Double bed. 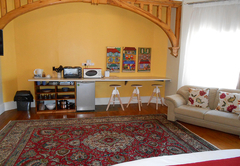 Tea/coffee station, bar fridge, microwave, flat screen TV and complimentary Wi-Fi. Private access with bath and separate shower. 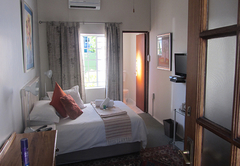 Our double rooms are spacious and have all modern conveniences. Tea/Coffee station with microwave and bar fridge as standard. 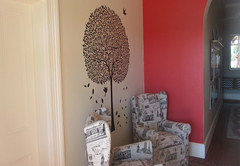 Response timeDreamers Guest House typically responds to requests in 5-10 minutes.